When you choose an EDC knife for your trips or missions, you know that you always need to spare some room for a Spyderco. It’s not that there aren’t good EDC knives out there, but none compares to a Spyderco. The leaf-style blades, the aggressive appearance make them one-of-a-kind, popping out in any room. The Spyderco knives have been around from the 70’s and the first knife ever made was known as the Portable Hand. That first model fitted your palm and looked similar to a spider, hence the name Spyderco. The Spyderco’s designer, Sal Glesser, got very creative over time and created knives with one-handed opening, combining various serrated edges. More than everything, these knives were reliable and long lasting which made them the no.1 choice in the folding knife market. 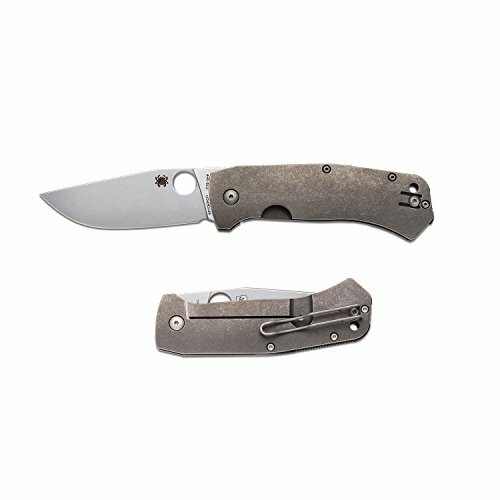 Spyderco today are still high quality knives and even though they are quite small than a regular knife, they are still full of so many details. It doesn’t matter if you are using the Sypederco in your tactical mission or once a month, when you hike. The bombproof locking mechanism, the high quality materials and the reasonable price for the high performances are the main features of any Spyderco. You need to know that now all Spyderco knives are made in our USA and many of them today come from Japan, Taiwan or Italy. The standards are still very high and the art facilities in these countries is the main reason for manufacturing them abroad. When you go out shopping for an EDC knife you know that a sharp knife blade is the most important feature. Any Spyderco knife has a razor sharp blade and an EDC knife is all about the blade. A heavy blade sustains high workload but this reflects on the rigidity, weight and mobility. Spyderco knives use heavy duty steel which performs great, with amazing wear and corrosion-resistance properties. Take a closer look to the type of steel from your EDC knife as this says a lot about the toughness, performance, hardness, lifespan and edge retention of the knife. Ergonomics are also very important when you get an EDC Knife. This is related to the design of the knife. And it’s all clear by now that any Spyderco knife model is easy to deploy, comfortable to hold and has least blade play. The compact Spyderco knives use lock blade mechanism which raises up the safety of your Spyderco. Once the blade is fully released, it is locked to place to stay in its position. You need to twist the lever at the bottom in order to fold it back. All of these features are useless if you are not able to hold your knife, as it slips every single time. So the handle of your EDC is also essential. 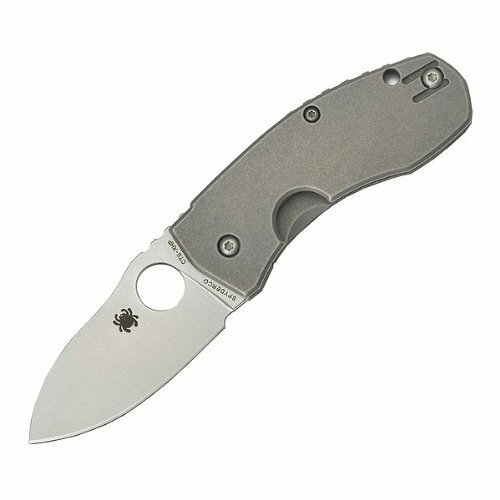 A Spyderco EDC knife has a non-slip, tough, textured handle for a smooth, yet tight grip. You may find Spyderco knives with fiber-reinforced nylon(FRN) handle, or models with G-10 handles. G-10 is a fiberglass based laminate that absorbs moisture. When you get yourself a Spyderco EDC knife, the quality of the knife is last thing to worry about. You only need to find the right Spyderco that fits your wallet, your needs and likes and… your palm. So, if you have the money for it, the Spyderco Bowie is a great EDC knife, due to its sharpness, smooth opening and easiness to be carried around. 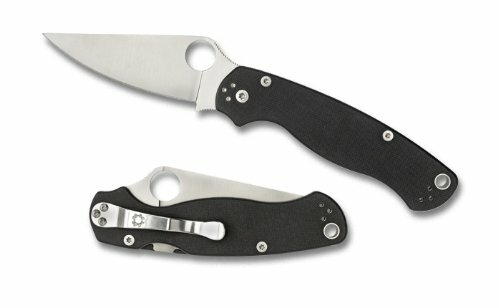 Since these are not real drawbacks, the Spyderco Techno meets your EDC knife expectations and is reliable, sharp, with just the right size. Reliable, strong and yet lightweight, the Spyderco ParaMilitary makes it a good choice as an EDC knife anytime. But, considering its price, Spyderco Manix2 still manages to be a reliable, sharp and close to perfect EDC knife. All in all, for the price, you get an efficient Spyderco EDC knife that does a pretty good job on your missions.